NEW PRODUCT – Bare Flashing Card Set – Celebration Circuit « Adafruit Industries – Makers, hackers, artists, designers and engineers! 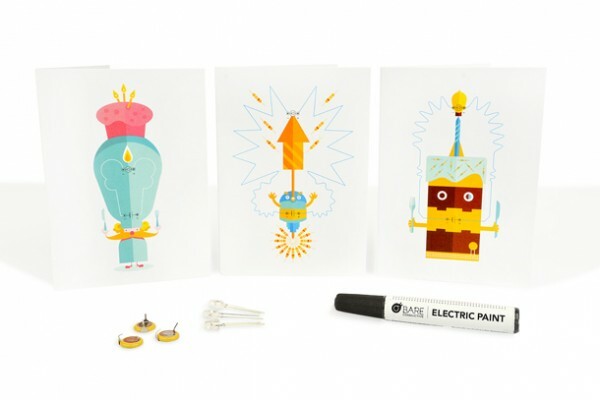 NEW PRODUCT – Bare Flashing Card Set – Celebration Circuit – This is a lovely way to get started with Bare Conductive paint, with three fun electronic greeting cards. Use the included 10 mL pen to draw traces and connect components on the front of the card. All three cards have cute robots with blinkie eyes or hearts.